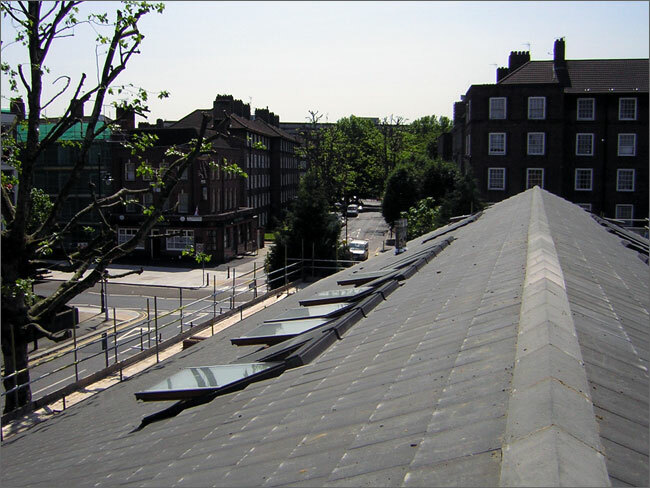 This is a large doctors surgery in south east London and the roof was renewed in mini Stonewold interlocking tiles on Tyvek felt, with new velux windows. 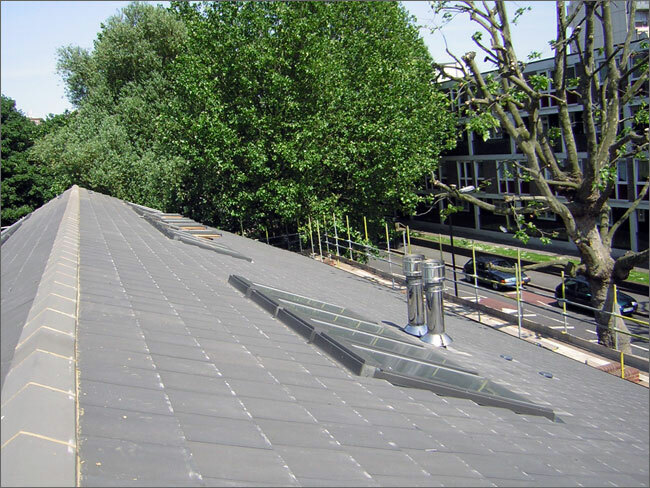 Finished ridge line of the Doctors surgery roof. 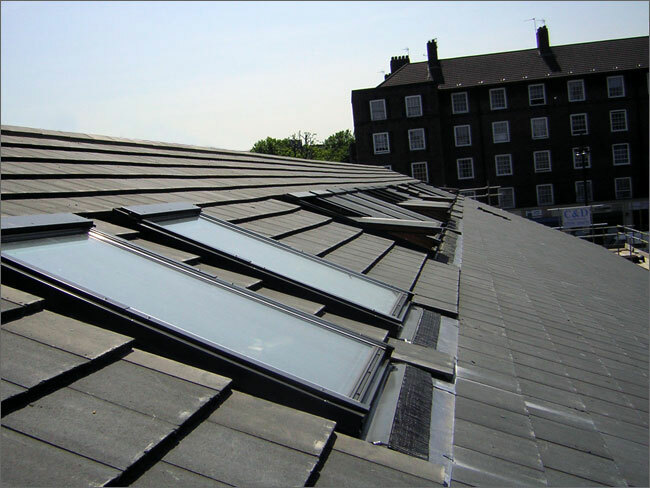 This picture shows the front of the roof showing tiling and Velux windows. 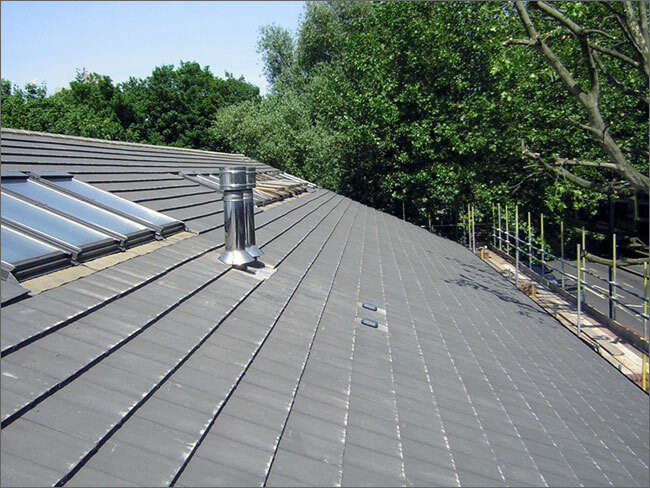 This picture shows detailed rear of the roof including tiling and Velux windows.